Solar Art installed Casper Cloaking Film to a Wells Fargo, in Los Angeles, California. Casper Cloaking Film is a type of decorative window film made by Solyx. Casper Cloaking Film is a window film that obscures digital screens from outside view. Wells Fargo was looking for a way to prevent people outside of the conference room from being able to see what was being presented during an important conference meeting. They worked with our sales representative to see what their different window film options were. 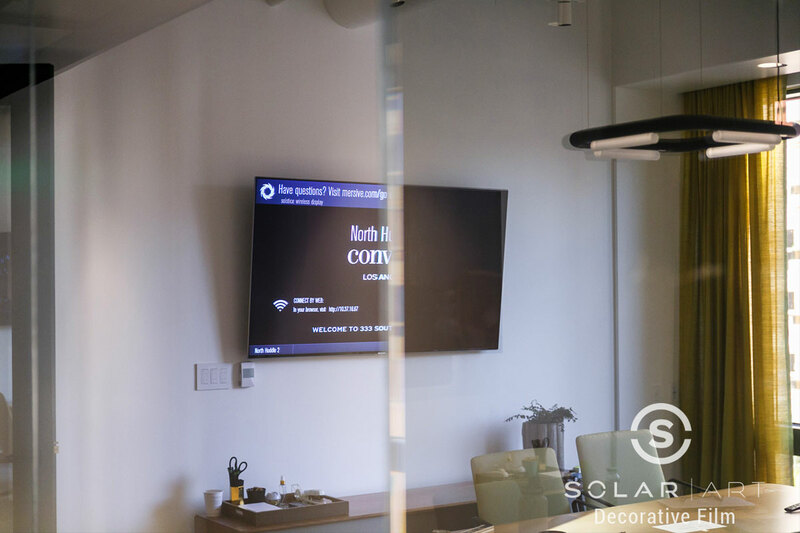 Frosted window film and other decorative window films weren’t a good option because they still wanted the ability to see out of the conference room. The main issue and the main concern was the TV screens being seen by people walking by. They worked with our sales team to see if Casper Cloaking Film would be a good fit for them. Casper Cloaking Film is applied directly to the digital screen and prevents people walking by from being able to see what is being presented or played. There are certain requirements for Casper Cloaking Film to work. Casper Cloaking Film is like other window films in the sense that it can easily be removed it you decide you don’t want it anymore. Wells Fargo had Casper Cloaking Film on all conference rooms in their office. Casper Cloaking Film would also work great in private offices and even home offices. 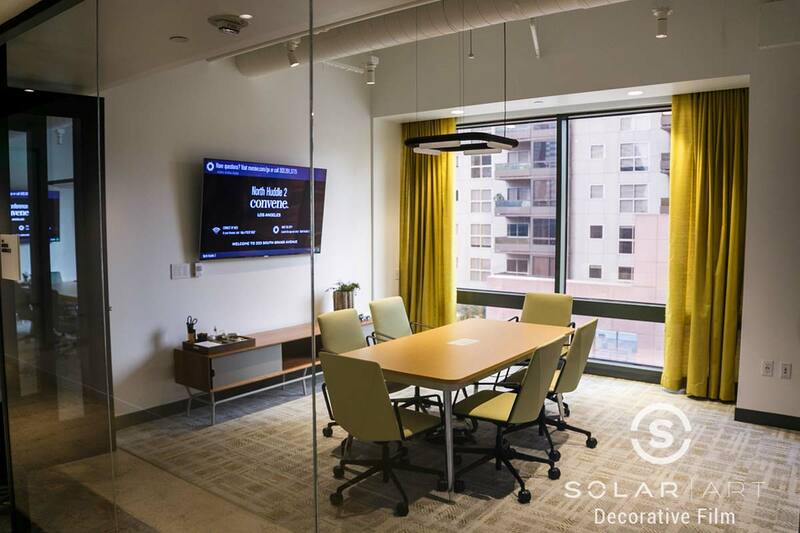 On top of decorative window film, Solar Art also installs solar film, anti graffiti film, security window film, and custom graphics to both residential and commercial settings. Contact Solar Art today for a free quote! Interested in Casper Cloaking Film? Contact us directly to talk about Casper Cloaking Film! Casper Cloaking Film is a type of decorative window film that will obscure digital screens from outside views. Contact Solar Art to learn more!